Yo other gamers, I’mma let you finish, but f*** y’all, I’m rage-quittin’! If you’ve ever gone online to play any game, then you’ve most likely experienced a sore loser pulling the plug and exiting before recorded defeat. This is a problem that is especially prevalent in racing games. But the folks behind DriveClub want to have less of that when their game arrives. “With DriveClub, if you’re racing online and you make a mistake it’s not game over. 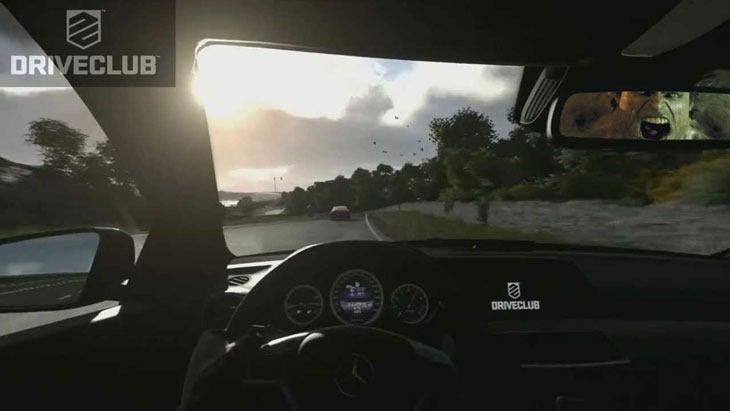 You don’t lose everything and you’ve still got dynamic Face-offs to keep playing for,” DriveClub game director Paul Rustchynsky said to the PS Blog. What Rustchynsky just mentioned is a system in the game that issues players with instant challenges, from keeping your speed at a reckless pace on the course through to Tokyo-drifting around highlighted corners. Complete the challenge, and you’ll rack up more ‘Fame’ which are used in lieu of experience points in the game. “We tested an early version of our challenge system in [Motorstorm] RC,” Rustchynsky explained. It was a lot of fun and we got some great back-and-forth rivalries going between players, but we always found that after a while one of the players would reach their physical limit and the competition would dry up. Even so, we saw players repeat the same challenge hundreds of times in a single day. That surprised us. We didn’t think people would get that hooked. And with DriveClub we’re taking it further and making it easier to compete and have fun. Since the initial delay, Evolution Studios has been rejiggering the game for a revised launch on October 7. It’ll be available in retail therapy forms as well as a stripped down free version for PS Plus members. Should be interesting to see how it stacks up against other upcoming racers.